Whether you need help with water damage restoration, roofing repair or installation, storm damage repair, fire damage, or content restoration, we are your first point of contact. We work directly with you and your insurance company to help put your life back together again. 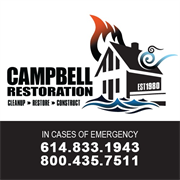 Campbell Restoration repairs residential and commercial property damaged by fire, wind and water. Our Foundation Is Comprised of Stringent Standards At Campbell Restoration, there is no substitute for Quality Products, Expert Craftsmanship, Dependable Service, and Customer Satisfaction. By combining over 30 years of experience, along with a focus on the highest level of problem solving, you can count on us for Detailed Xactimate Estimates, Two-Year Warranty on Workmanship, and 24-Hour Emergency Service. Do you own Campbell Restoration? Due to the unique way that the eBusinessPages Business Directory is structured a Premium + Verified Listing is the most powerful way to get more clients to contact Campbell Restoration. Not only will your listing be more noticeable and more trustworthy, it will also be displayed more prominently in our category (General Contractors and Parent Categories) and location (Canal Winchester, OH and USA Wide) listings. 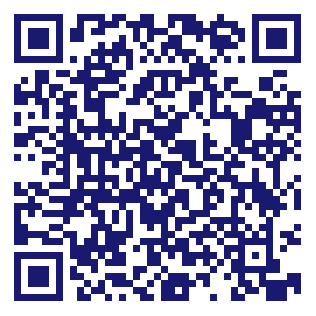 Campbell Restoration will be displayed in your competitor's listings while no ads will be shown in your own listing. Starting at $2.78 for a Premium Verified Listing, there is every reason to give Campbell Restoration the eBusinessPages Premium treatment today.